Whose line is it anyway? 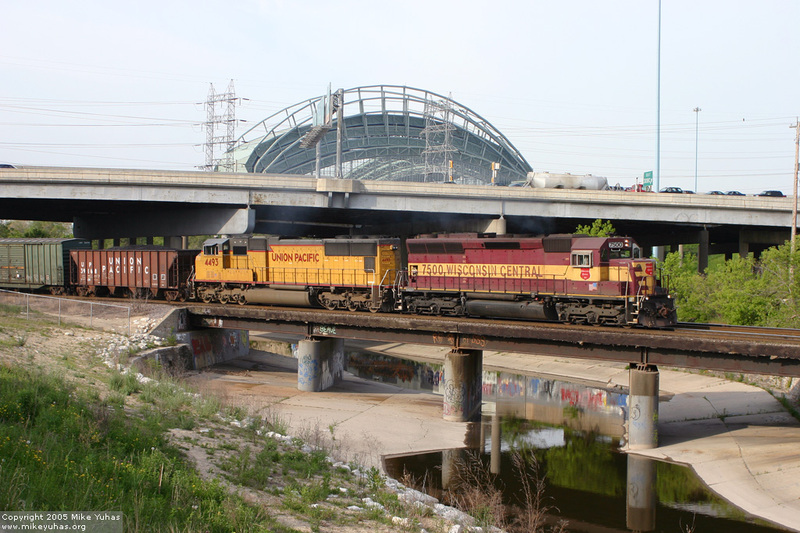 Canadian National's daily Milwaukee train is pictured on Canadian Pacific heading west, with I-94 and Miller Park looming overhead. This westbound train is designated L511 and the eastbound evening counterpart is the L510. The WC SD45 is not unusual for this train but the UP SD70M sure is.